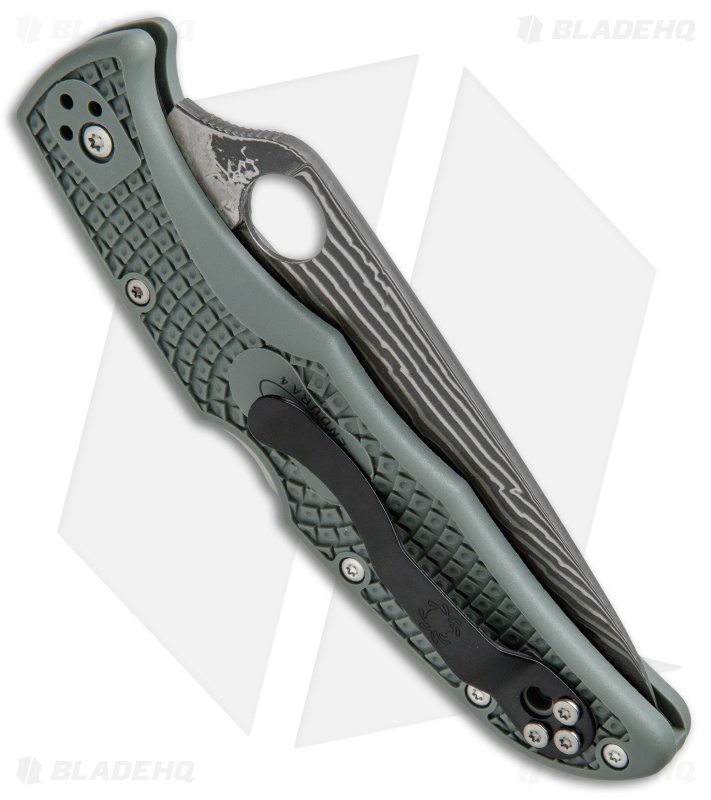 This Spyderco Endura knife has a foliage green handle and a full-flat ground zebra damascus blade with a plain cutting edge. 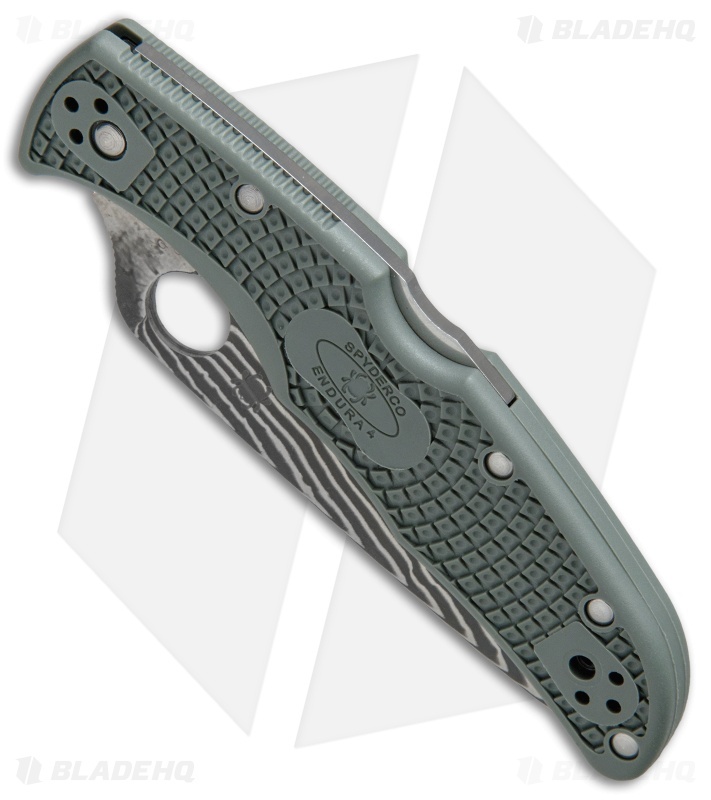 The Endura knife features a molded FRN (fiberglass reinforced nylon) handle with Bi-Directional texturing for traction and improved ergonomics. 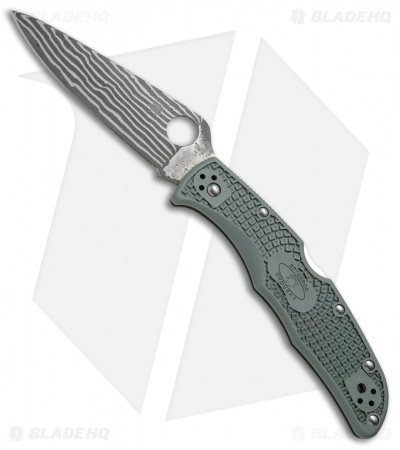 The handle is strengthened with dual skeletonized stainless steel liners that make an anchor for all external and internal components to attach while adding sturdiness and rigidity. Phosphor bronze bushings on the blade pivot smooth out the open/close action. The pocket clip is four-way reversible for tip-up/down, left- or right-handed carry. 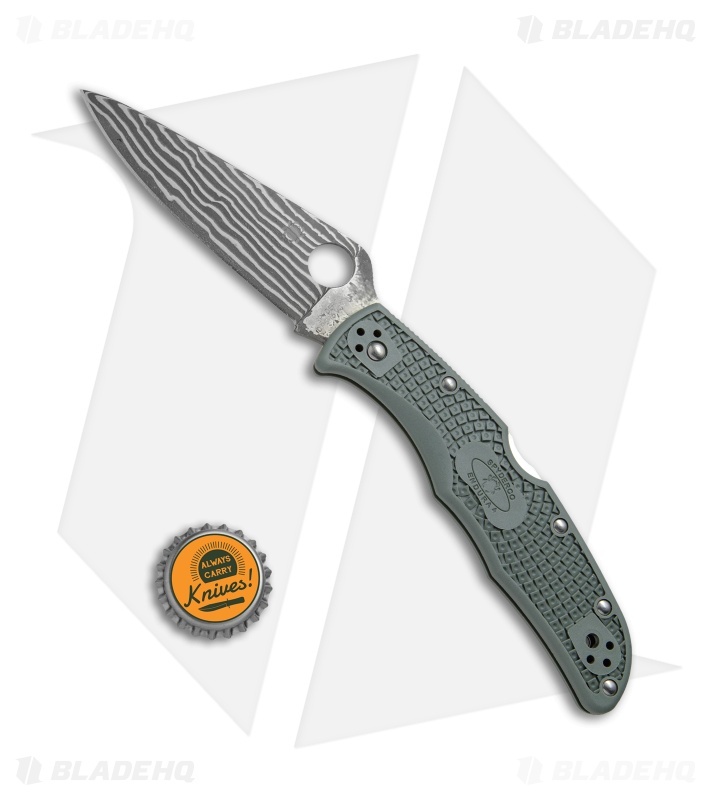 This Endura has the zebra striped Damascus steel, DPS15 and VG-10. The fit and finish are excellent as are all of the ergonomics for all of the Enduras. The down side...it sure looks pretty but I would have been willing to pay more for a better performing base steel, like: s30v, s35vn, xhp or M390. But for the price it is a great deal.